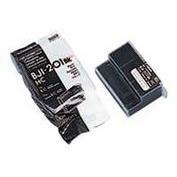 Genuine OEM Canon BJI201HC, BJI201HC Black Ink Cartridge. They are designed to work in the Apple Color StyleWriter Pro printer/copier(s). 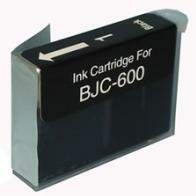 Premium Quality 0946A003 Black Inkjet Cartridge compatible with the Canon BJC 600, 610, 620, 630. The use of compatible supplies does not void your printer warranty. Premium Quality 484-4 Black Toner Drum compatible with the Imagistics ix2700, ix2701, fx2100, sx2100, mx2100 . The use of compatible supplies does not void your printer warranty. 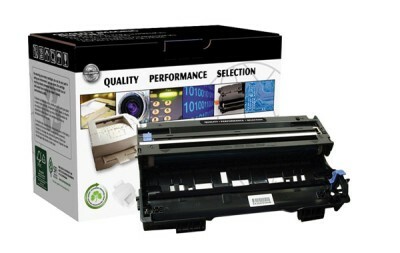 Premium Quality 484-5 Black Laser/Fax Toner compatible with the Imagistics ix2700, ix2701, fx2100, sx2100, mx2100. The use of compatible supplies does not void your printer warranty. Premium Quality 794-3 Black Copier Toner compatible with the Imagistics IM3510, IM4510. The use of compatible supplies does not void your printer warranty. Premium Quality 8104 Black Toner Cartridge compatible with the Pitney Bowes 9800. The use of compatible supplies does not void your printer warranty.